Bioprocess technology is a vital part of biotechnology that deals with processes combining the complete living matter or its components with nutrients to make specialty chemicals, reagents, and biotherapeutics. The processes form the backbone of translating discoveries of life sciences into useful industrial products. Various stages associated with the bioprocess technology include substrates and media, biocatalysts, volume production, downstream processing, purification, and final processing. Over the past few years, the application of bioprocess technology in the development of a variety of next-generation biopharmaceutical products is gaining traction in the bioprocess technology market. One of the rapidly emerging areas of application is in the manufacturing of key oligosaccharides (OS)—galactooligosaccharides and fructooligosaccharides. These OS have promising uses in food ingredients owing to their several health benefits. These are confirmed to possess certain prebiotic functions and will help meet the growing demand for prebiotic for treating various chronic ailments. Recent technological advancements in bioprocessing methods have further expanded the scope of their applications. Conventionally, whole cells or enzymes that are partially purified are used to synthesize both the OS. Enzymes play a vital role in the synthesis process. Fructooligosaccharides can be synthesized by the degrading fructan using the enzyme Inulinase or by the transglycosylation process of sucrose while galactooligosaccharides is produced using lactose. However, the complete conversion poses a challenge, since biocatalysis does not remove digestible carbohydrates found as a result of enrichment processes of oligosaccharides. Various bioengineering techniques for the removal of digestible carbohydrates are being developed. This includes downstream separation technologies, specific fermentation strategies, and further bioconversion using enzymes. Next-generation manufacturing strategies facilitate purification of sucrose-based fructooligosaccharides. Bioprocess technology forms the backbone of the biotechnology industry. In a bioprocess living cells such as bacteria, enzymes, and chloroplast or their components are used to procure desired products. The process is leveraged to develop industrial products, processes and techniques to fulfill the needs of society. The different stages in bioprocess includes formulating raw materials, substrates and media, the conversion state, biocatalysts, downstream processing, volume production, purification and processing the final product. Bioprocess technology finds application in end use industries for manufacture of biomaterials such as pharmaceutical supplements, antibiotics, food and agricultural products, vaccines, and enzymes. It also finds application in the production of alternative products for treating maladies, the creation and evaluation of safer food materials, and making of biodegradable and environmental-friendly chemicals. As techniques and instrumentation become further sophisticated, bioprocesses may find applications in other domains where chemical processes are now used. 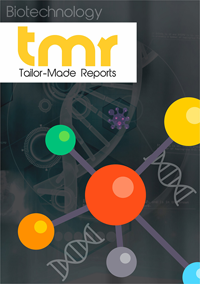 A TMR Research report bioprocess technology market presents a comprehensive evaluation of the global market for bioprocess technology. It does so through qualitative insights and historical data. The report makes verifiable projections about market size. It segments the market based on different parameters and studies the size and potential of each segment. The research report serves as a repository of analysis and information for every aspect of the market, including regional markets, technology, types, and applications. The most prominent growth drivers in the global bioprocess technology market are the significant expansion in the biopharmaceutical industry, increasing thrust on research and development, higher demand for vaccine, and progress in the field of technology. Besides, bioprocesses steal a march over conventional chemical methods with the use of living materials for production. This is because bioprocesses typically need lower temperature, pressure, and pH, which is a measure of acidity. Second they can use renewable resources as raw materials and consume less energy. Offsetting such benefits is the steep cost of instruments required for bioprocess. Another factor countering the growth in the global bioprocess technology market is the strict regulations. Depending upon the type, the global bioprocess technology market can be segmented into cell counting, cell culture, cell line development, cell expansion, single-use bioprocessing, virus filtration, flow cytometry, biologics safety testing, tangential flow filtration, and pyrogen testing. Of these, the cell culture segment leads the market with a dominant share. Geographically, the global bioprocess technology market can be divided into Asia Pacific, Europe, North America, and the Rest of the World. Among them, North America accounts for maximum share. The stellar growth in the North America market has been brought about by a strong demand for good quality biologics, and a very strong emphasis on research and development by prominent players in the region. Going forward, however, Asia Pacific is slated to expand at a good clip to outshine other regions vis-à-vis growth rate. The bioprocess technology market in the region will likely be propelled by the expansion in the biopharmaceutical industry, rising government initiatives, development in research and development, higher investments by key market players, and the trend of outsourcing production to Asia Pacific countries full of cheaper, high skilled manpower. To present a detailed assessment of the competition prevailing in the global bioprocess technology market, the report profiles companies such as Abbott Laboratories, Philips Healthcare, Becton, Thermo Fisher Scientific Inc., Dickinson and Company, and Alere, Inc.